One of the biggest decisions you will need to make if you are looking for a new pub EPOS system is whether to go for a traditional till system with the server built in, (or based onsite), or one of the newer cloud-based pub EPOS systems. This article talks through the main differences between these two options to help you make an informed decision. A cloud epos system connects to a server that is hosted in the cloud (in a data center somewhere). This means there will be some dependency on an Internet connection. Most cloud epos systems can still function while offline, but there may be some limitations to the functionality that is available. A system that has a built in server, or connects to a server-based onsite, should not have a reliance on an Internet connection for its day to day use. This could make this a good option if your pub or bar has a very poor Internet connection. On the flipside you will always be able to access your data on a cloud EPOS wherever you are. Whether you can do this with a traditional till system depends on the particular system, and will need an Internet connection at the site & some specific network configuration. Having a server onsite adds to the up front cost of an epos system. This additional cost relates to the hardware itself and any associated installation cost, such as network changes. With a cloud epos system, hardware and set up costs are generally much lower, as no server is required to be purchased, installation is much simpler (and can be DIY), and the epos hardware is usually less expensive. With many traditional onsite systems you pay for your software up front along with your hardware. While this may (and should) reduce any ongoing fees, it will usually also mean you do not benefit from any significant software updates or improvements. To update your software you are likely to need to pay for an upgrade, which may also lead to costs to upgrade your hardware. With a cloud epos system, you will usually pay for your software as a service. This means you will always have access to the latest software available from your provider without having to pay to upgrade software or hardware. With the pace of change of technology today, a static system can become out of date very quickly. One of the big benefits of a cloud EPOS is it is very easy and inexpensive to switch to a different EPOS provider if your system doesn’t live up to your expectations. Most cloud EPOS systems make use of off-the-shelf hardware that can be re-used with a different epos system should you decide to switch. As the software is usually paid for monthly, you can simply stop paying the old provider and start paying the new. With onsite server epos systems the costs to switch can be very high. We speak to many publicans who have paid a large up front fee for a new pub EPOS system, only to find it doesn’t live up to their expectations. Unfortunately, these systems can often be very hard to resell and so the cost incurred is frequently unrecoverable. In our experience most sites run perfectly well via the cloud. Internet outages these days are very rare and offline mode keeps things going if outages do occur. There are some sites though that do have unreliable Internet and would benefit from having a server onsite. 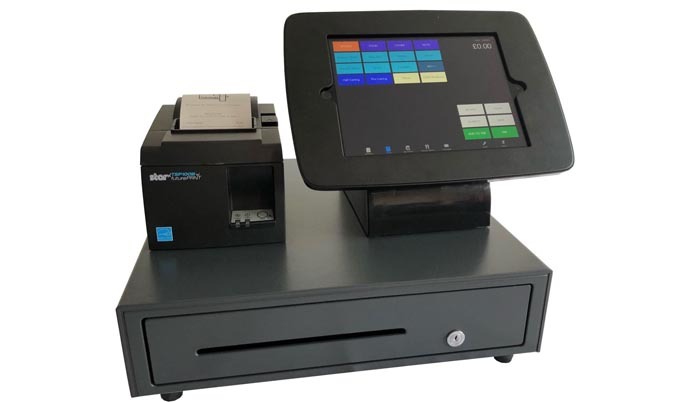 For BarTab EPOS we do offer a local server option so that sites that can’t rely on their Internet connection can still take advantage of many of the other benefits of a modern cloud EPOS system. Which is the right option depends, not only on Internet reliability, but how you use the system. If you are looking for a new EPOS and would like some advice on which option would work best for you, just contact one of our experienced team who will be happy to help.